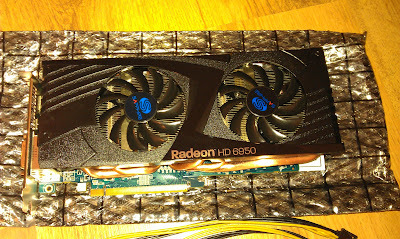 Back when I purchased my current graphics card, a Sapphire 6950 HD, I was intrigued by the possibility of being able to access the additional shader units locked out by AMD as part of the binning process. At the time, I had read about the possibility of AMD switching from disabling the shader units via the BIOS to physically cutting the electrical connections with a laser, so I understood that I wasn't guaranteed success. Turns out that my card was laser cut after all, which is disappointing. 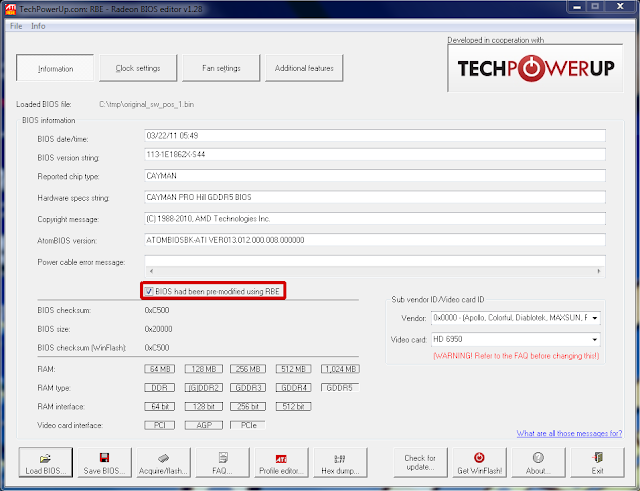 However, I did learn about GPU BIOS modding, got acquainted with some useful tools and made a couple of interesting observations during the process that I'd like to share. Flashing a 6950 card with an appropriate 6970 BIOS. Modifying the BIOS currently on the card to unlock the additional shaders. Unlocking Radeon HD 6950 Tested - HWLab (about half-way down they detail the instructions for modding the BIOS). GPU-Z - tool to identify GPUs in a system, report their configurations and write out a copy of the BIOS to a file. Mod_BIOS_HD_6950 - a small script that specifically only unlocks the additional shaders in a downloaded 6950 BIOS. 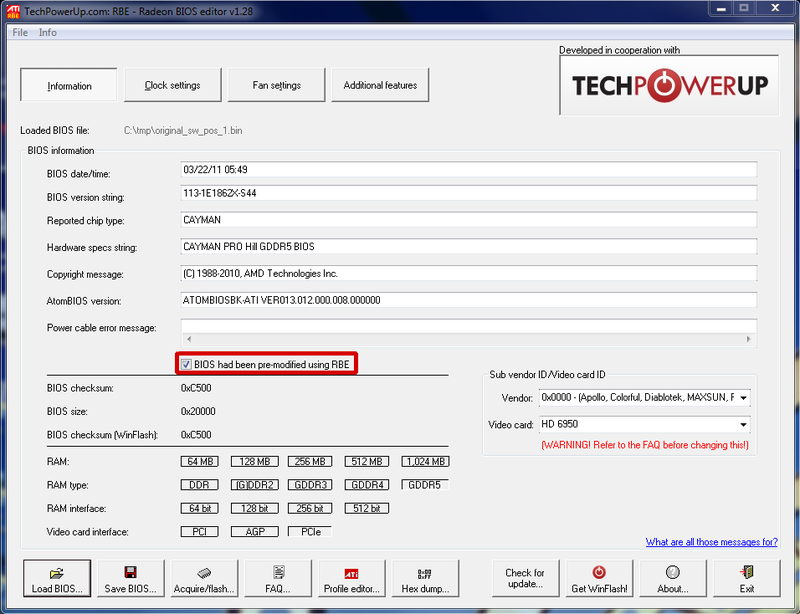 HD 6950 to HD 6970 Flashing Tools - the ATI WinFlash tool bundled can be used to flash a modified BIOS to a 6950. Radeon BIOS Editor (RBE) - utility for viewing and tweaking the configuration of a BIOS. Change the BIOS switch to position 1. 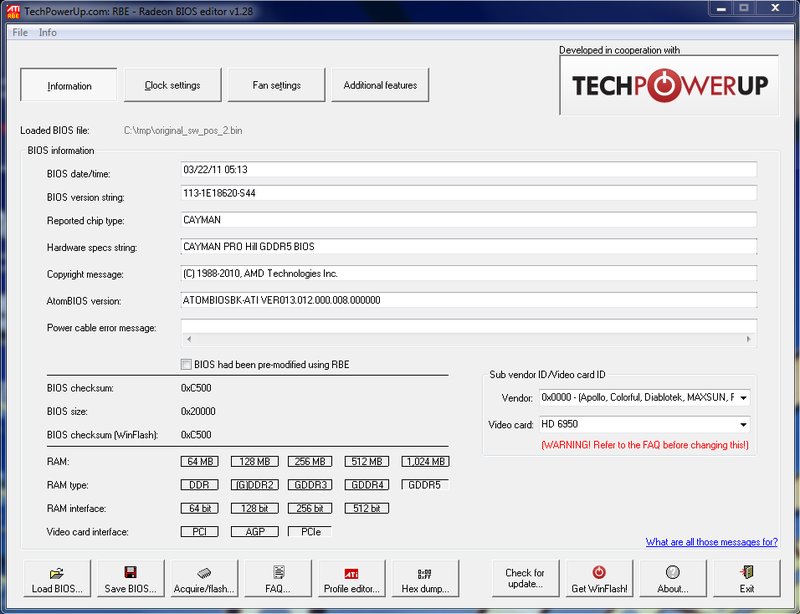 Use GPU-Z to dump out the current BIOS to disk. Use the Mod_BIOS_HD_6950 tool to modify the shader parameter in the BIOS image. Flash the modified BIOS back to the 6950. So, while not the ideal outcome, I can't be too disappointed; I was essentially trying to get something for nothing, or at least minimal time investment. I can't say I've ever been let down by the card in it's stock configuration, this was more of an experiment to see what was possible. I've learnt new things in the process, which is always amazing and I hope some of this post proves interesting if not useful to others. 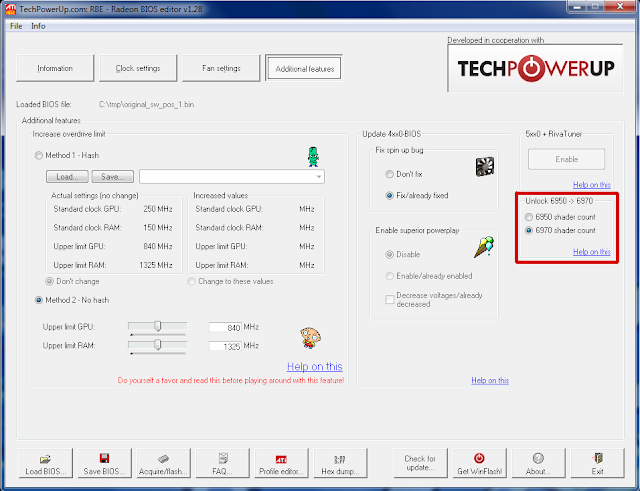 Simply overclocking the card using the Sapphire TriXX utility - this would be pretty easy to do, is free, but likely to produce the smallest improvement. Buying another Sapphire 6950 HD and configuring the two cards in CrossFire - seems this card is difficult and expensive to buy new these days, which is to be expected, but can be found for around GBP 100.00 on Ebay. 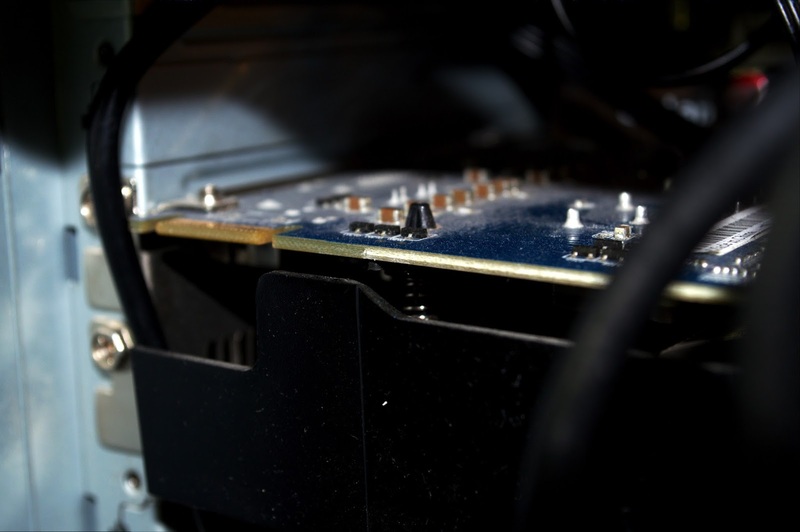 However, CrossFire has been known to complicate matters: game profiles and frame pacing on the software side, with the additional power requirements and heat dissipation to think about at the hardware level. Upgrading the GPU to something more modern - the 6000-series GPUs are getting on a bit now, especially after Nvidia's recent release of it's 700-series line up. However, I would probably be looking at around GBP 200.00 if I opted to upgrade. I suspect this is a little out of my price range for now and perhaps I'll wait and see what AMD's rumoured 9000-series cards are like. I'll most likely go ahead with the overclocking option for now, as my card seems to hit around 55°C when gaming, so there's potentially some headroom there. I'll be sure to post my experiences once I've got something to report!